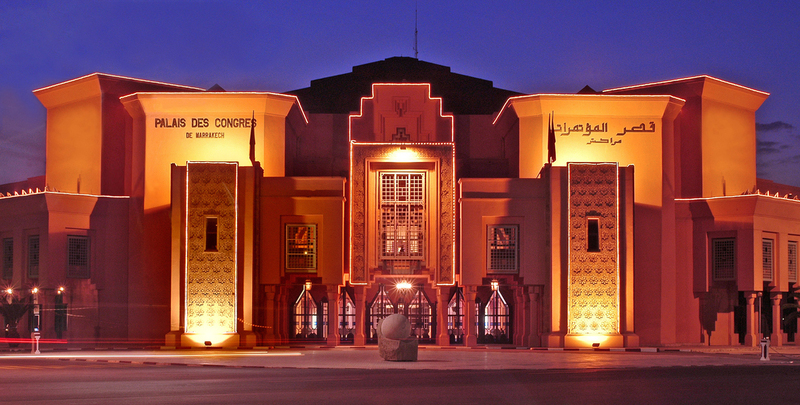 The Palais des Congrès de Marrakech, has a world-class reputation and can accommodate up to 5,500 persons. 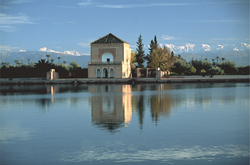 It is located at the centre of all the main points of interest in Marrakesh, in the prestigious Hivernage residential district and just 10 minutes from the international airport, 5 minutes from the station, 15 minutes on foot from the Old City, making it ideal for conventions, conferences, incentive trips, seminars, product launches and indoor and outdoor exhibitions. It can offer all the atmosphere, efficiency and prestige of a truly world-class Conference Centre.